This is a tutorial and instructions on how you can unlock your Motorola Droid Razr HD LTE by Unlock Code to work on any GSM network. 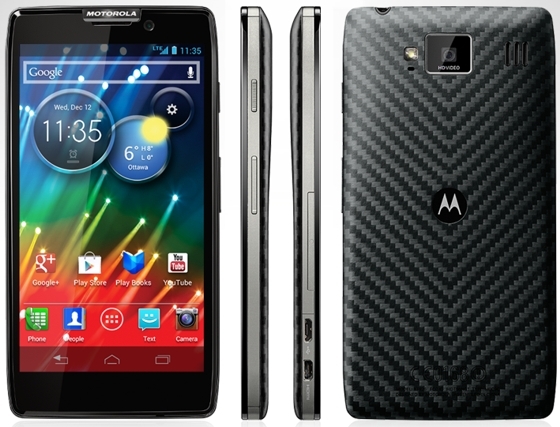 The Motorola Droid Razr HD LTE has now been released by Rogers and other GSM Networks. Once unlocked, you can use it on other networks such as At&t, T-Mobile, Simple mobile, H2O and other GSM Networks! LOWEST PRICE GUARANTEED! DEAL DIRECTLY WITH THE SOURCE, 100% Guaranteed. Cellunlocker.net is proud to announce we can Unlock the Razr HD LTE to work on any GSM Network fast and easy! After you have unlocked the RAZR HD, it is permanently unlocked even after upgrading the firmware. Unlock Droid Razr HD LTE Now! * There is absolutely no risk of damaging your Motorola Droid Razr HD LTE by unlocking it. UNLOCK MY Motorola Razr HD LTE NOW!